Thieves had taped into a gas line during the countries gas shortage …. 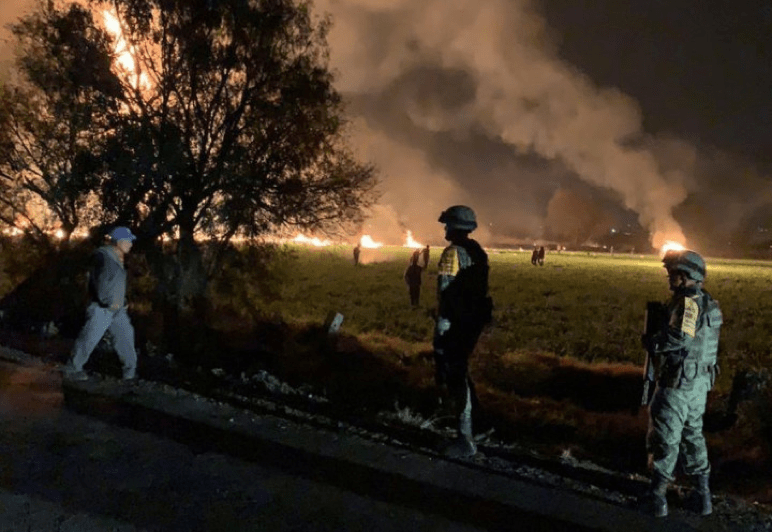 A ruptured fuel pipeline exploded Friday in central Mexico, killing at least 66 people and injuring more than 76 others, officials said. The explosion took place in the town of Tlahuelilpan in the state of Hidalgo. Ahead of the blast, photos and video showed a crowd of people around the spurting pipeline, filling plastic drums and containers with gas. Mexico is in the middle of a gas shortage, and President Andrés Manuel López Obrador has come out strongly against fuel theft. In the hours before the explosion, thousands of people reportedly gathered around the geyser of gas.